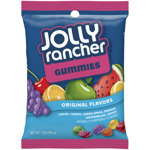 Those classic Jolly Rancher fruit flavors are bursting from these yummy gummy candies. 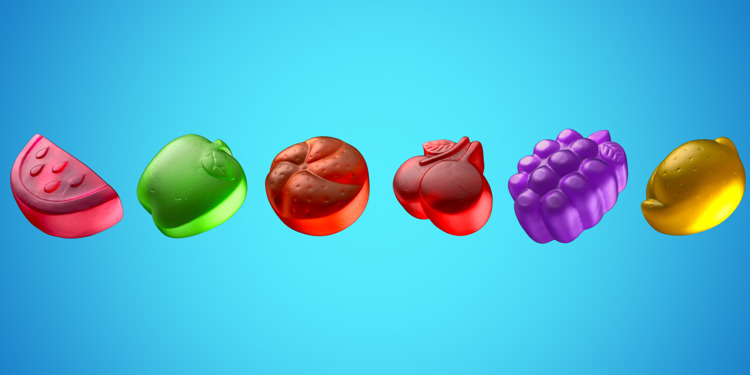 They’re a great snack for when you’re on the go thanks to these handy theater packs. 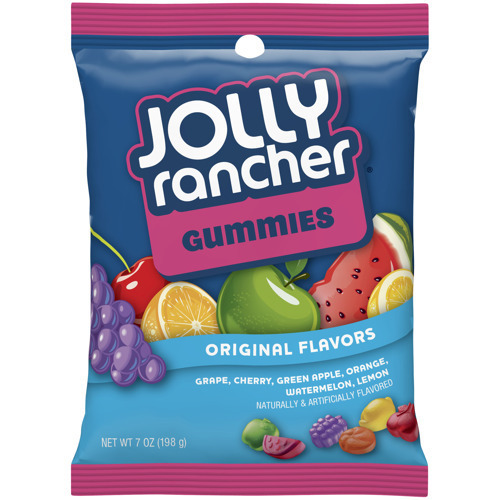 Corn Syrup, Sugar, K-Gelatin, Malic Acid, Sorbitol, Natural and Artificial Flavorings, Mineral Oil, Carnauba Wax, Hydrogenated Soybean Oil, Artificial Colorings (Includes Red 40, Yellow 5, Yellow 6 and Blue 1), and Tocopherols (to Preserve Freshness).